Laura Shely, MA, LMFT-A, is a psychotherapist with a background in family and behavioral therapies. Her relationship-centered therapeutic approach helps clients uncover their unmet needs and find paths to leading meaning-filled lives based on deeply held values across the lifespan. Laura’s therapeutic approach is to provide a safe, non-judgmental and empathic environment for clients to explore the issues that bring them in for counseling. She works with couples, individuals and families and has a sub-specialty in providing counseling to couples and families dealing with chronic illness. Laura’s internship was completed at The Council on Alcohol and Drugs. In addition to her private practice, she is a Counseling Associate at a major research hospital working with couples facing the stress of chronic illness. 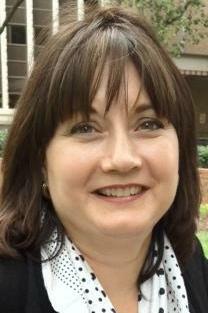 Laura is active in the Marriage and Family Therapy Association serving on the Ethics Committee. Laura can be reached at Laura@LauraShelyTherapy.net or by calling or texting 713-851-7932.